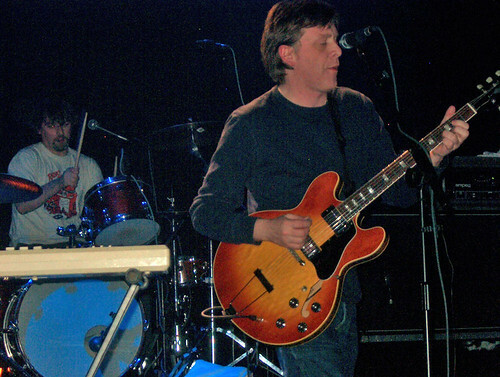 Teenage Fanclub, Bilbao, originally uploaded by alister. Teenage Fanclub headlined the gig on the Wintercase tour along with the Delays and the Go-Betweens as part of the Wintercase tour, Kafe Antzokia, Bilbao. In my experience, TFC never let you down. This was no exception. The songs they introduced as "new" are actually pretty familiar by now (well, I guess I have seen them three times this year). All great stuff and with so many solid gold classics in their repertoire you can't go wrong. More pics on flickr if you like.